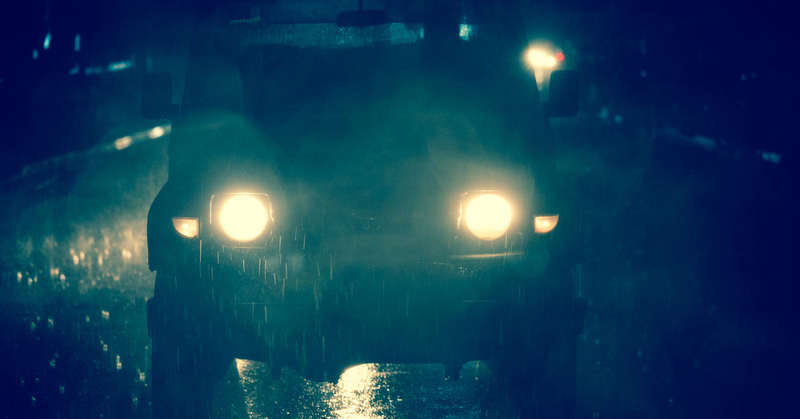 Hazy headlight lenses can diminish your headlight’s reach by more than 50 percent, leaving you in the dark. Not only does it make it harder to see the road, but also reduces the distance you have to stop should something or someone pop out in front of you. Too many people live with this affliction, but you don’t have to. 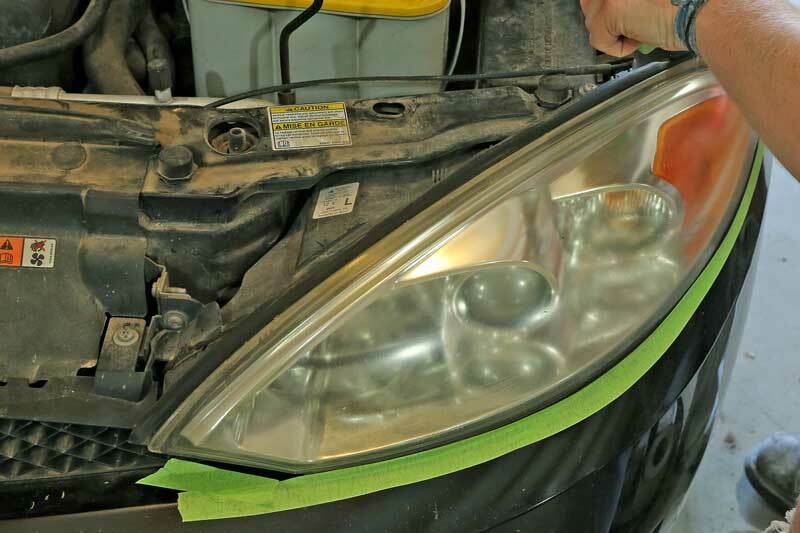 It is actually quite easy to restore your headlight lenses to their original crystal-clear luster, and it all starts with the 3M Headlight Restoration kit. Both of these headlight lenses are hazy, but the passenger side is much worse. 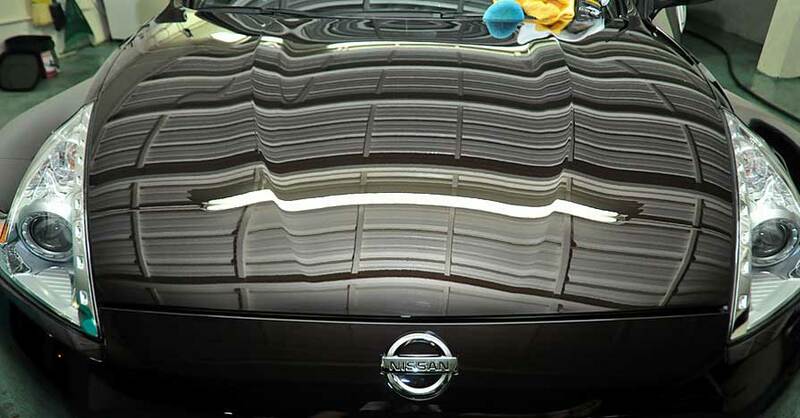 Both can easily be repaired with a 3M restoration kit. There are varying degrees of damage for lenses, from a light haze to fully-yellowed through which very little light passes through. 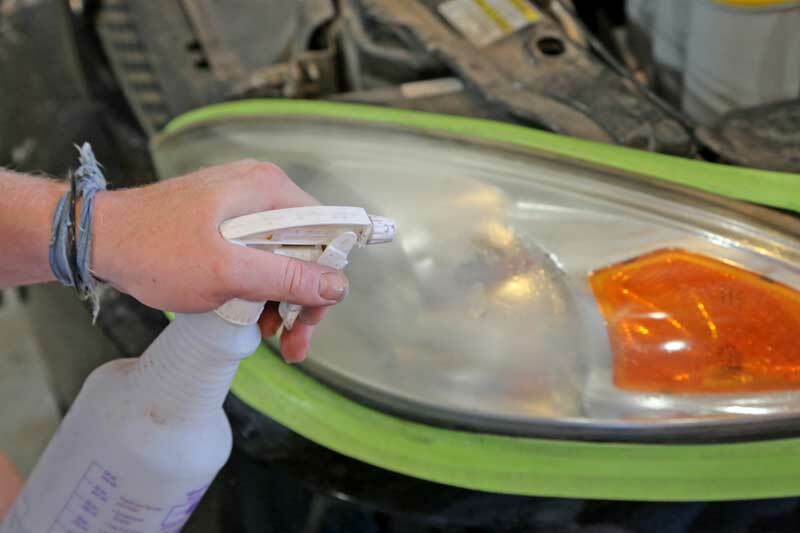 You don’t need to the most aggressive restoration kit for a slight haze; this can often be buffed out with rubbing compound alone, whereas the worst lenses need to be heavily worked to eliminate the haze. 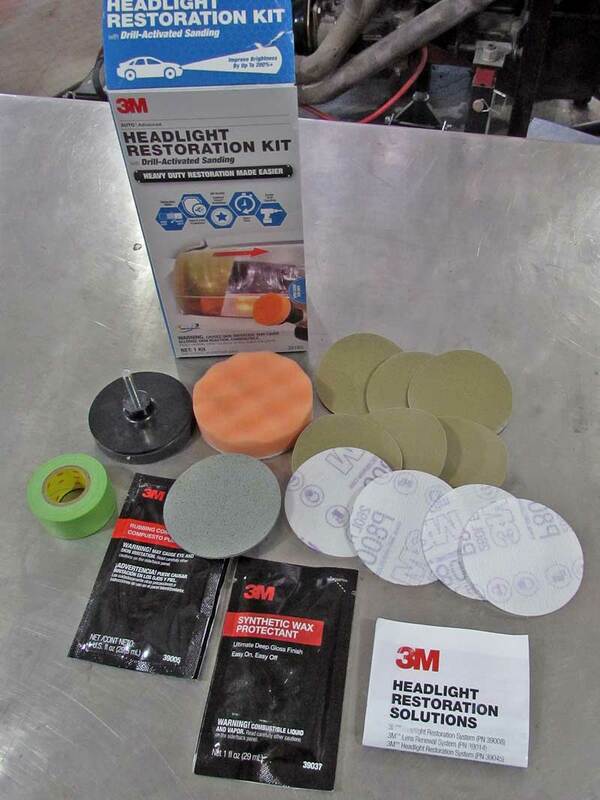 3M has three kits available- Quick Renewal, Medium Duty, and Heavy-Duty. Quick Renewal- This is the most basic kit designed for light hazing. The kit consists of a 5000-grit hand-sanding pad and some rubbing compound. 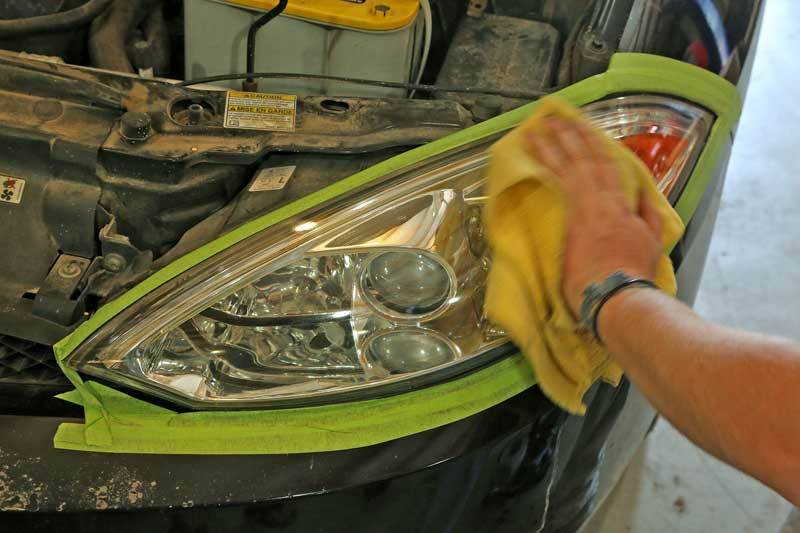 You will need to supply a microfiber buffing cloth, and some water for wet-sanding. 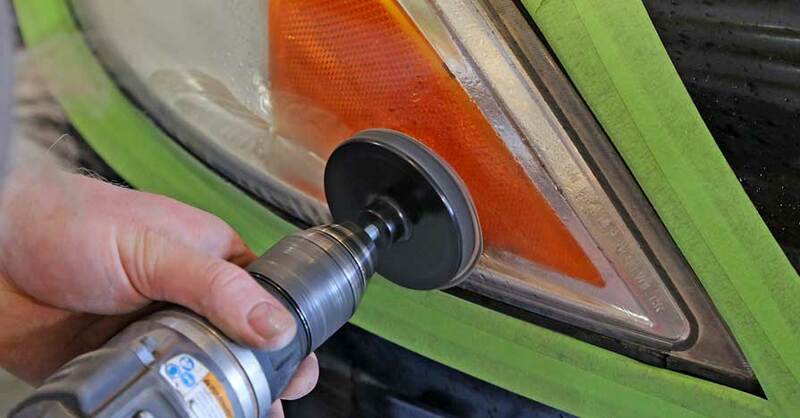 This will remove light haze, that is about it. Deep scratches, white or yellowed lenses need more serious effort. 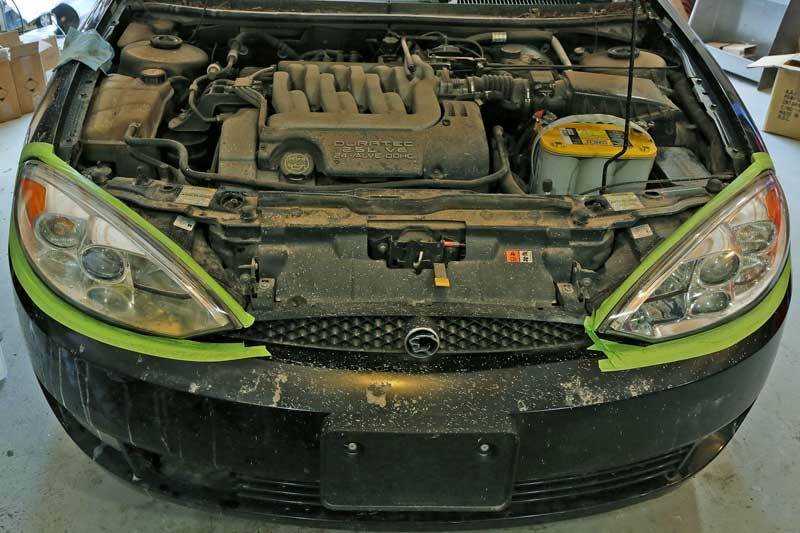 The most basic is the Quick Headlight Renewal pack, this is for the slightest haze. 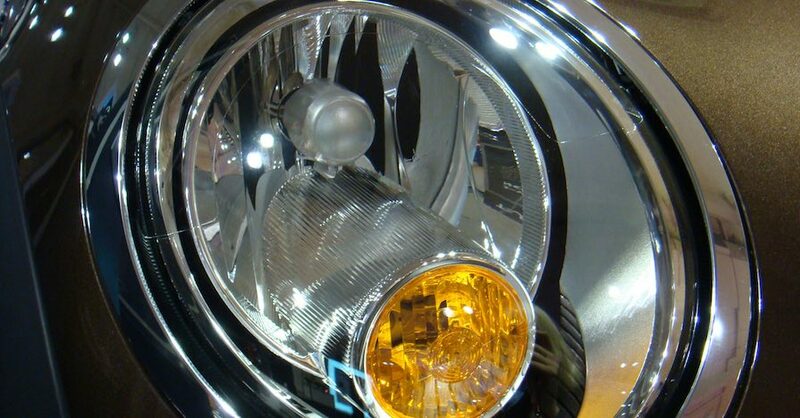 Medium Duty- Most headlight lenses fall into this category. 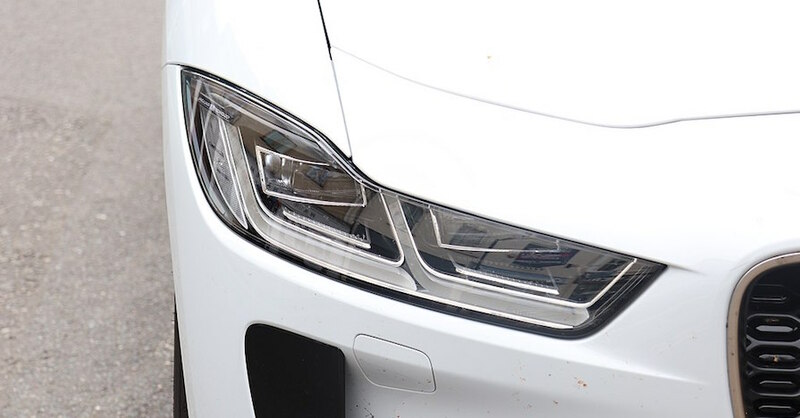 This is for the lens that has significant fogging, the lens has some white haze, but the headlights shine through. 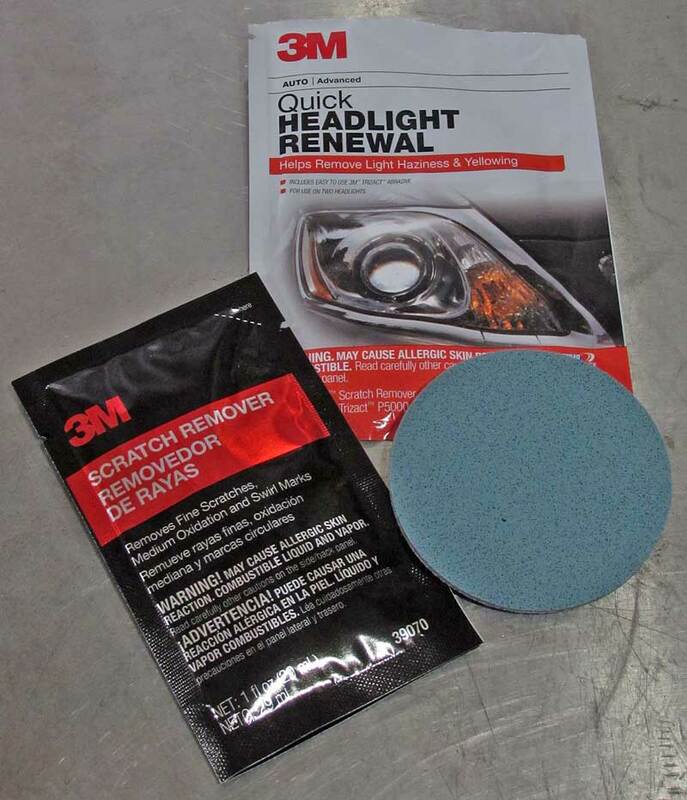 This kit contains three foam sanding pads- 1000, 3000, and 5000-grit, scratch-remover buffing compound, wax protectant, foam applicator pad, and masking tape. You will supply the microfiber towel and some water for wet-sanding. 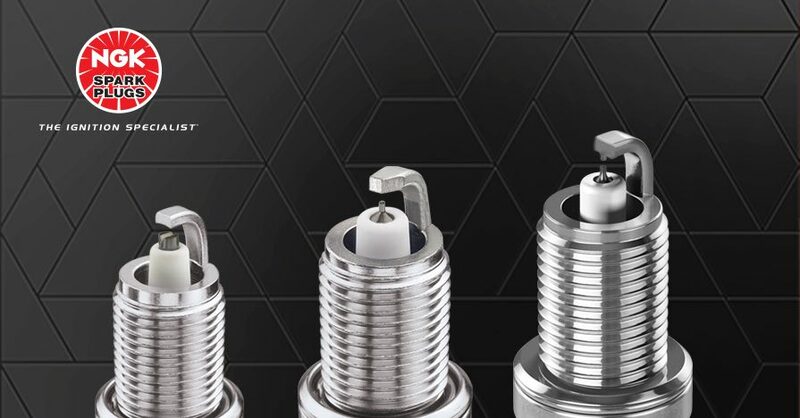 This kit will work for most cars that have dulled over time. For moderately hazed lenses, such as the driver-side lens on the Cougar shown above, the Medium Duty kit works great. Heavy Duty- If your lenses are completely white or yellow and light barely passes through, then you need the heavy-duty kit. This package is drill-powered, which makes the process go much faster. 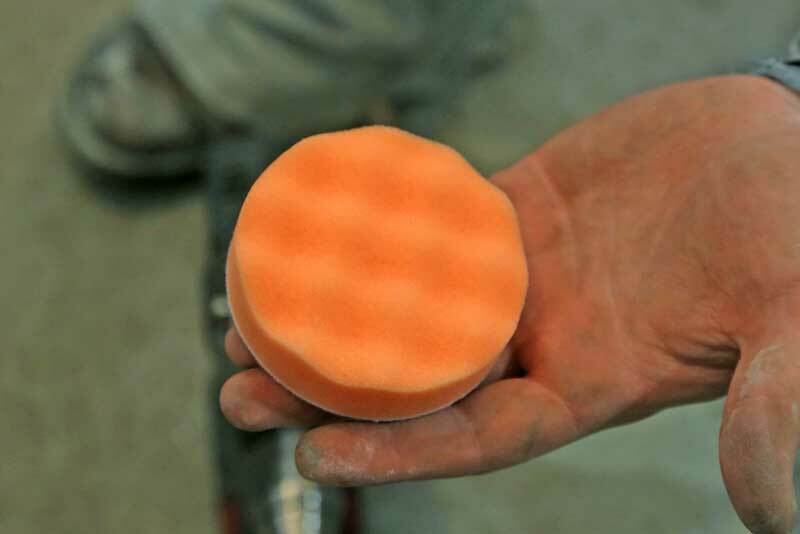 A Velcro backup disc is loaded into your power drill and each of the sanding and buffing pads attaches to the disc. 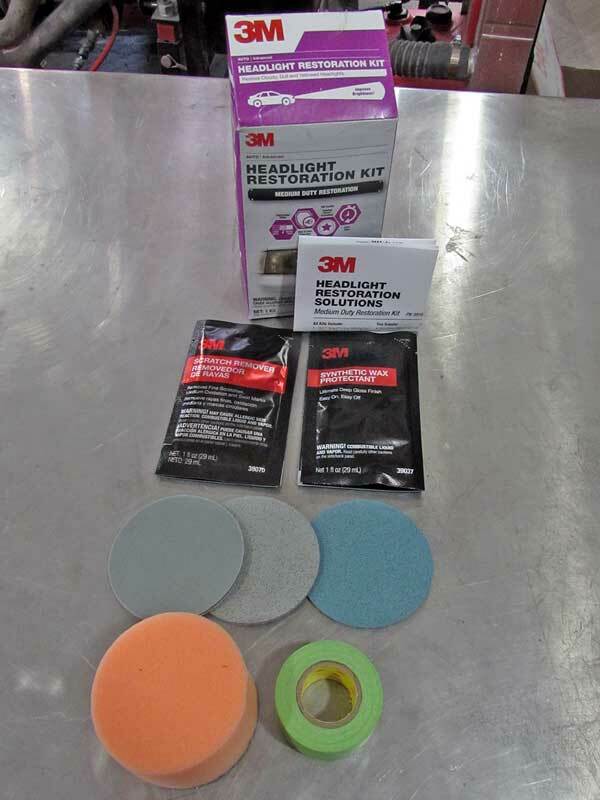 The kit comes with 500, 800, and 3000-grit sanding pads, a foam buffing pad, rubbing compound, wax protectant, and a roll of masking tape. If this kit cannot get the haze out, then you need new headlight lenses. For lenses that are like the passenger side of the Cougar or if you just want the power-drill performance, the Heavy Duty kit will take it on. If this one work, you need a new lens. 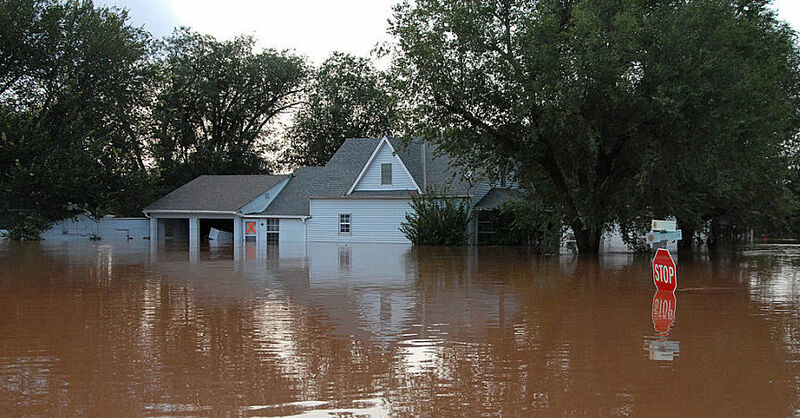 One key tip for a successful renewal is the use of water for the sanding steps. 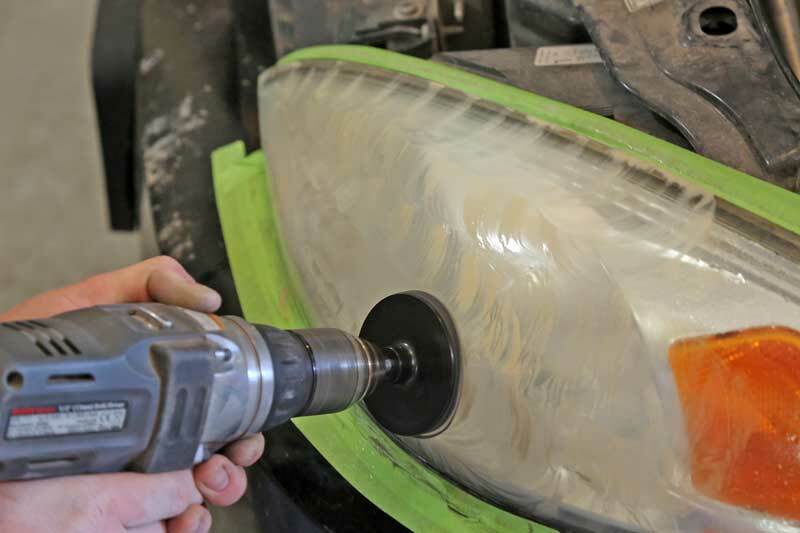 A spray bottle or bucket of water should be used when sanding the lenses. 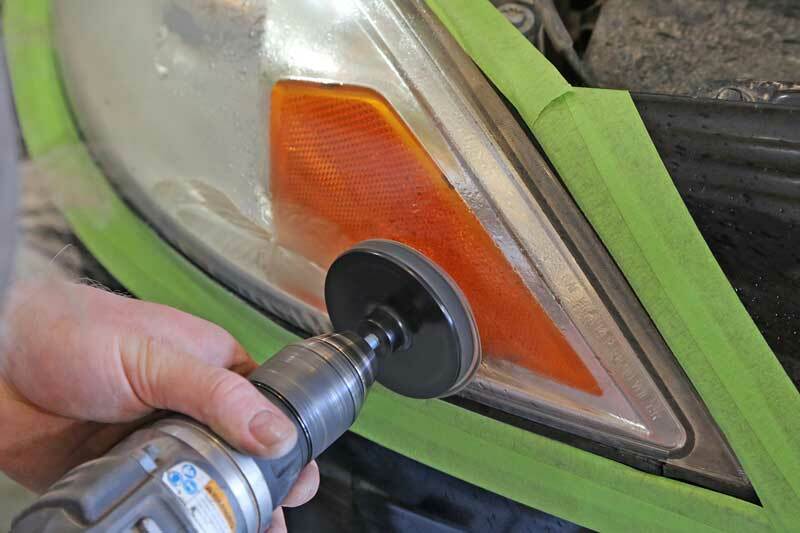 This provides some lubrication for the sanding pads, and makes it easier to get the scratches out. The water pulls away the dust from the plastic and the sanding pad, which helps the pad last longer and you don’t make the lens worse, rubbing the plastic dust into the lens, creating more scratches. 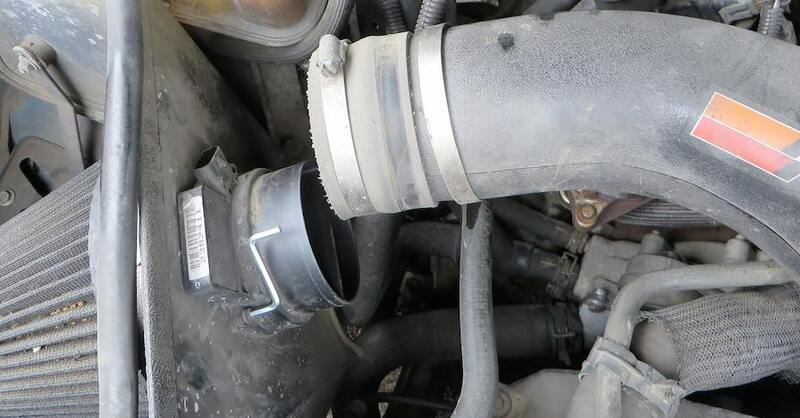 To demonstrate the power of this system, we took a 2001 Mercury Cougar with moderately hazed lenses and got to work. 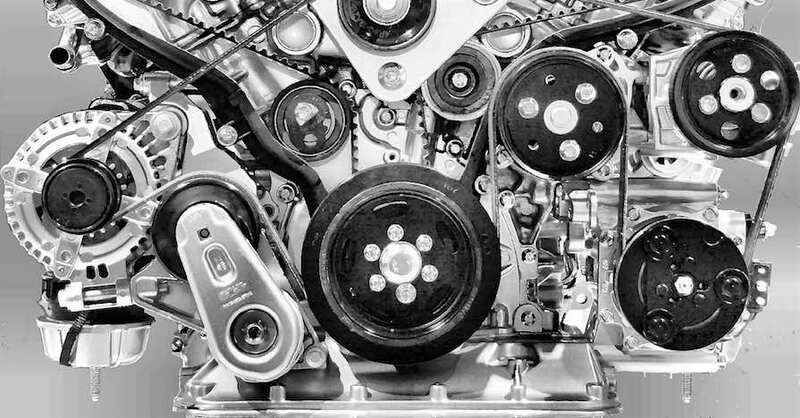 We could have gotten away with the medium-duty kit, but opted for the drill-powered heavy duty kit as one headlight was significantly worse than the other. 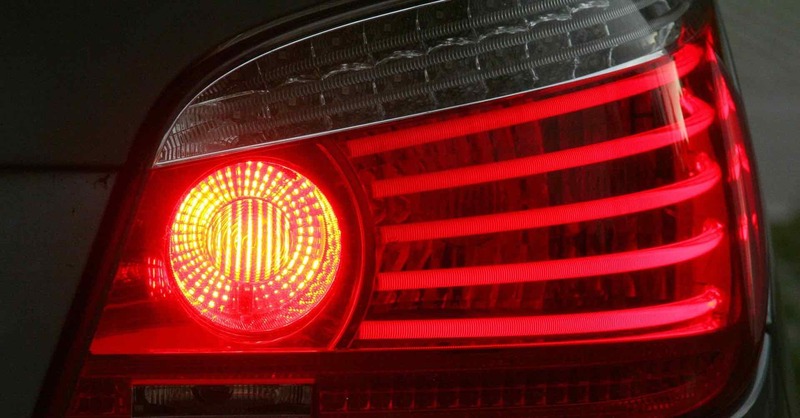 The entire process takes 3-5 minutes per headlight, depending on the size of the lens and the severity of the haze. Use water to improve the cut of the sandpaper. 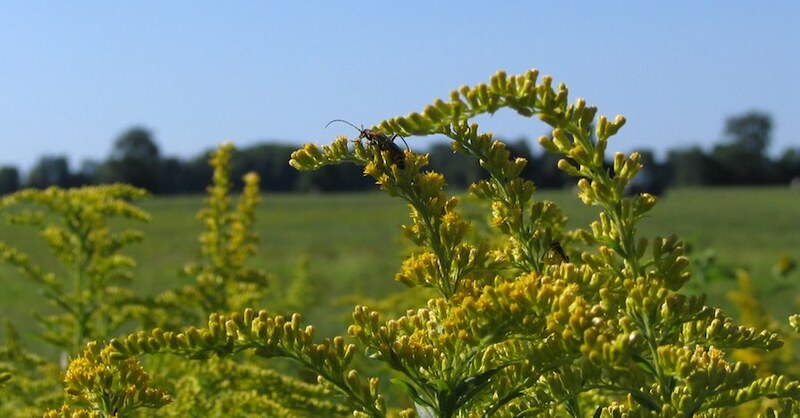 This makes the job easier without damaging the lens. 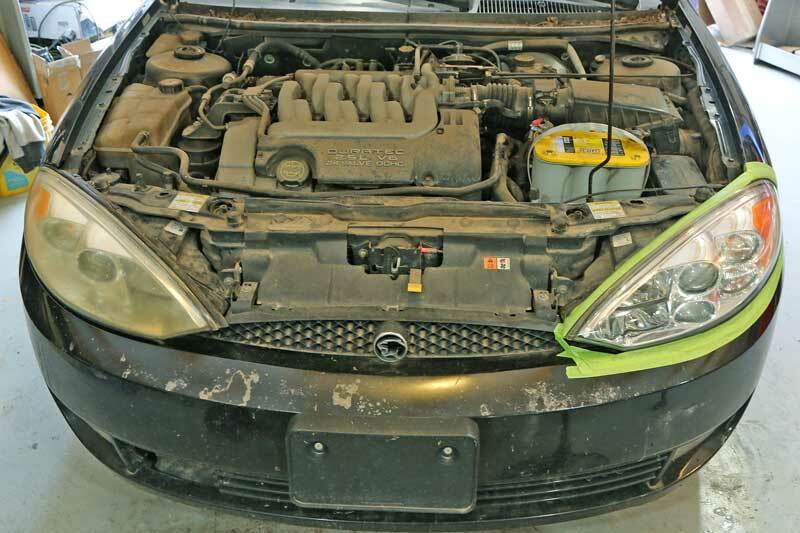 First, the area around the headlamp was taped off. This is to protect the painted edge from being sanded. The sanding disc was loaded into the drill and an 800-grit pad stuck on to it. Then the entire surface was sanded in a grid pattern. The lens now has a solid milky haze over the entire surface. The kit jumps from 800 to 3000 grit, which we loaded to the sanding disc and ran over the lens. Use water! The next step is to buff the lens with the buffing pad and rubbing compound. This also attaches to the sanding disc. 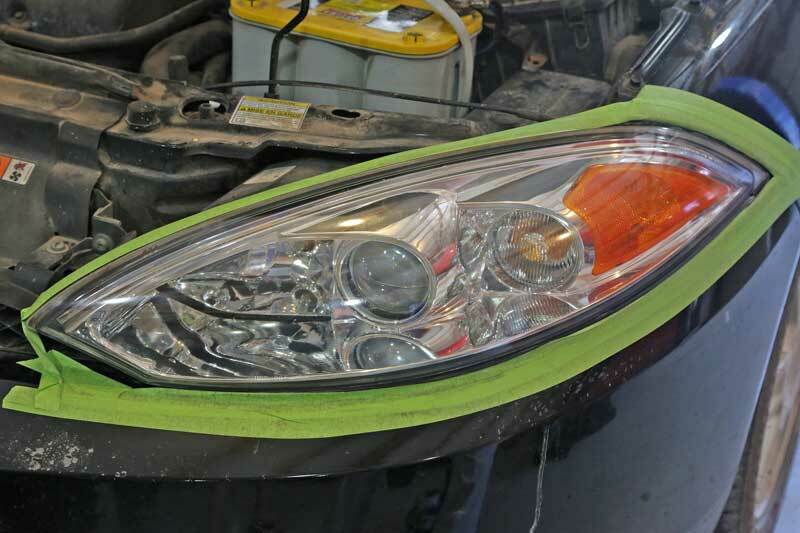 Once that stage is complete, the last headlight restoration step is to apply the wax protectant with a microfiber cloth and then buff it off. 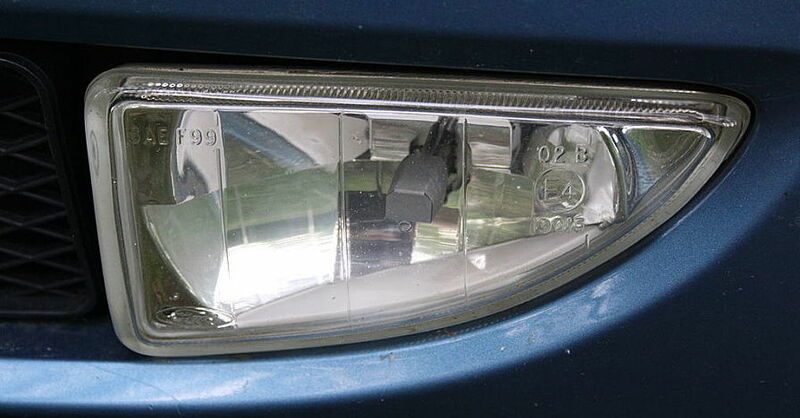 The headlight restoration result is pretty impressive. We had to get more aggressive on the passenger side, using the 500 grit sand paper before moving on to the rest of the system. 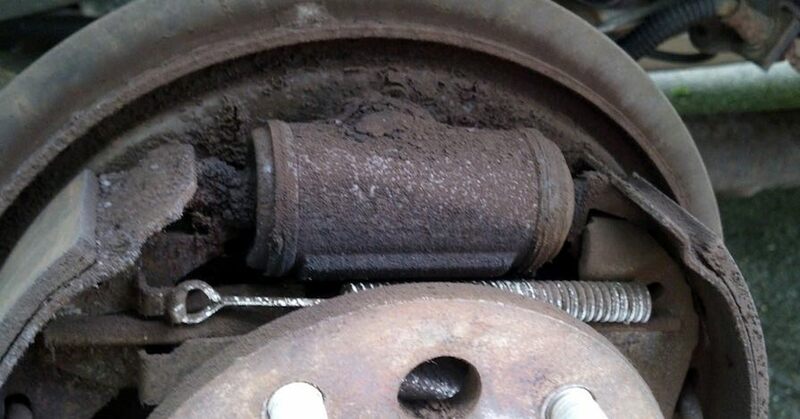 All better, just like new. 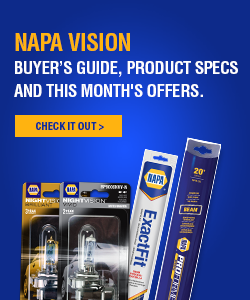 Check out all the cleaning products available on NAPA Online or trust one of our 16,000 NAPA AutoCare locations for routine maintenance and repairs. 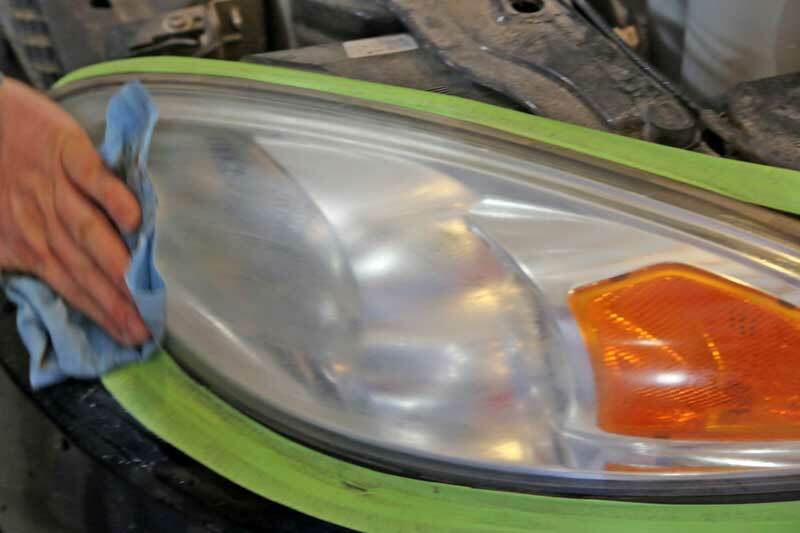 For more information on headlight restoration, chat with a knowledgeable expert at your local NAPA AUTO PARTS store.